As with most movies adapted from literature, I have to say the book was better, in my opinion. However, I think it’s really important that we judge movies and the books that inspired them COMPLETELY SEPARATELY. They are both works of art, created in two completely and vastly different ways. Too many people pick movies apart for being different from the book, which is understandable because it can be really disappointing when whole characters are left out of the film (See: Madge, The Hunger Games). Lemony Snicket’s A Series of Unfortunate Events was interesting in its own way, the costuming is especially unique and actually pretty true to the book. 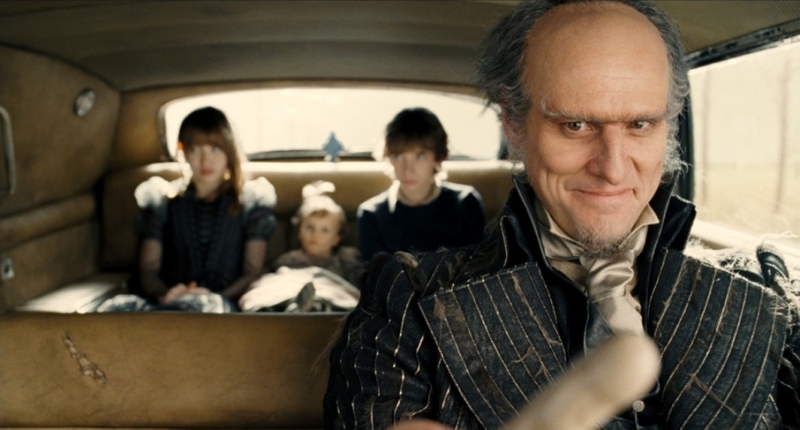 Jim Carey was the perfect choice for Count Olaf, I don’t think anyone could have played his character so flawlessly. The casting director aced this one on all counts: Poe, the orphans, everyone. This film is definitely underrated – did everyone forget that Meryl Streep is in this? That has to mean something, right? Tags: 55 movies to get you to christmas, a series of unfortunate events, jim carey, joy writes things, lemony snicket's a series of unfortunate events, meryl streep, unfortunate events | Permalink.